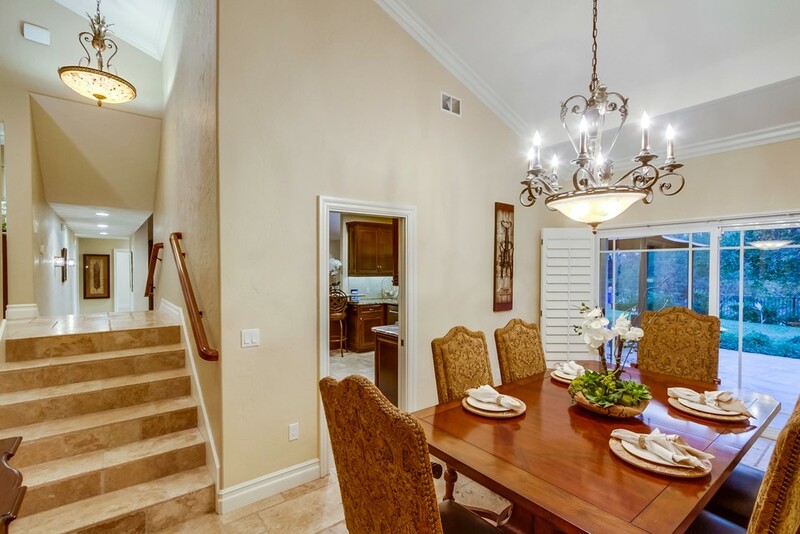 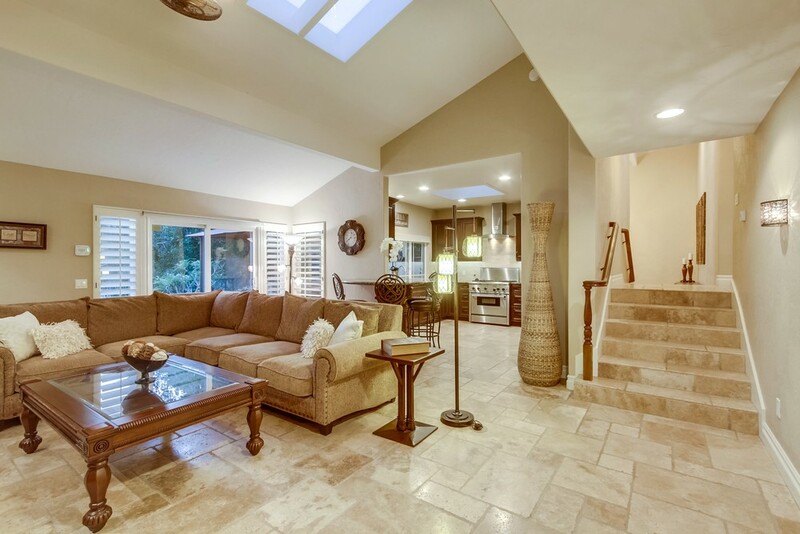 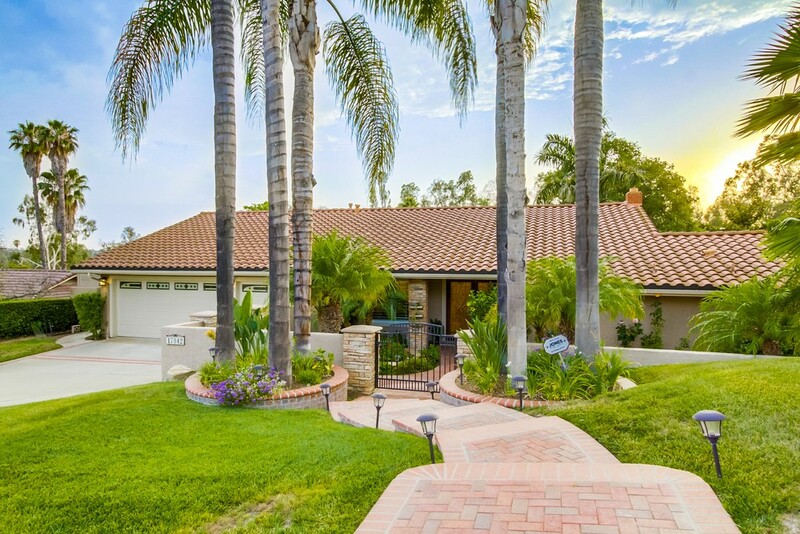 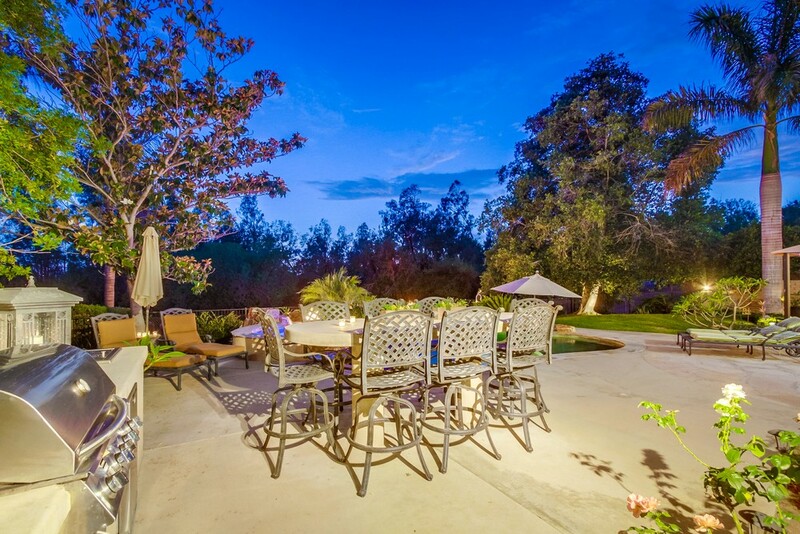 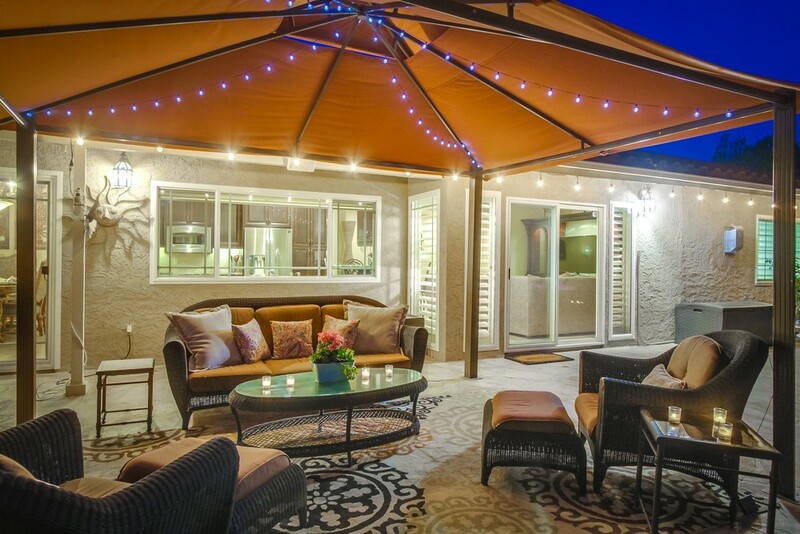 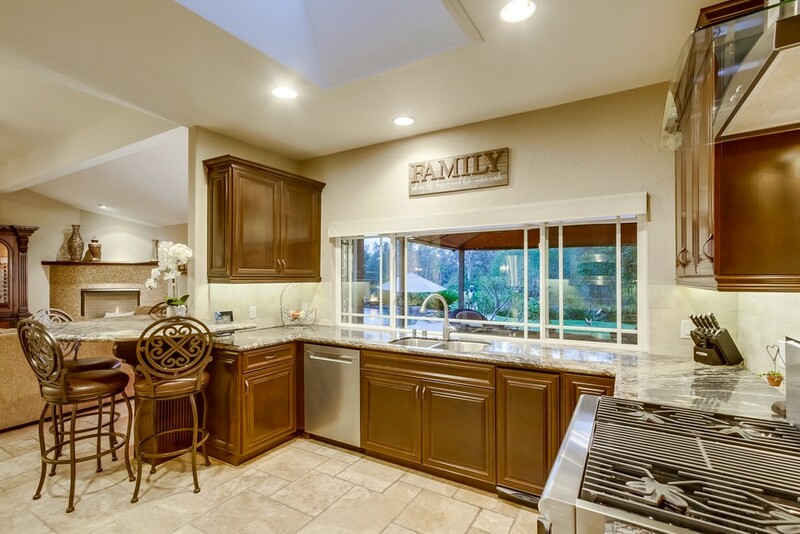 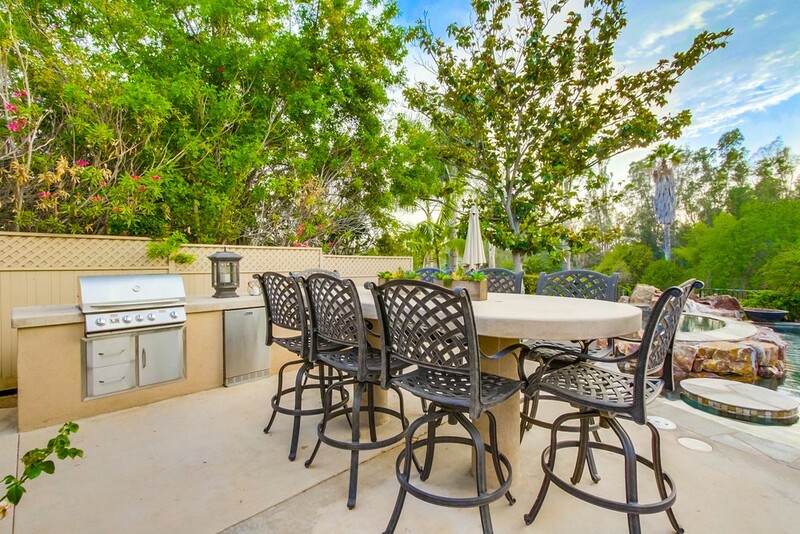 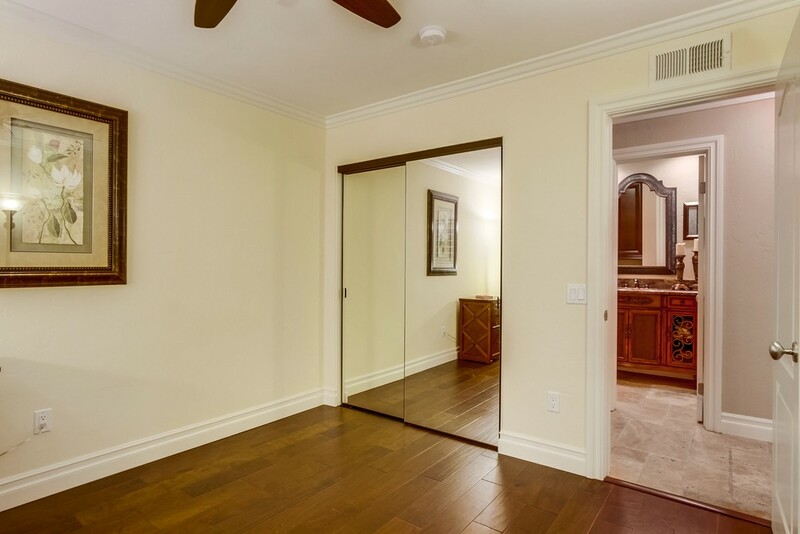 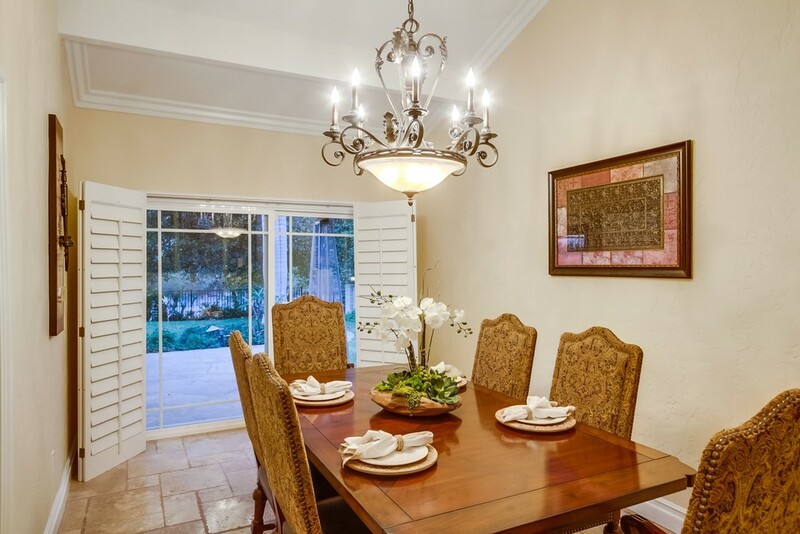 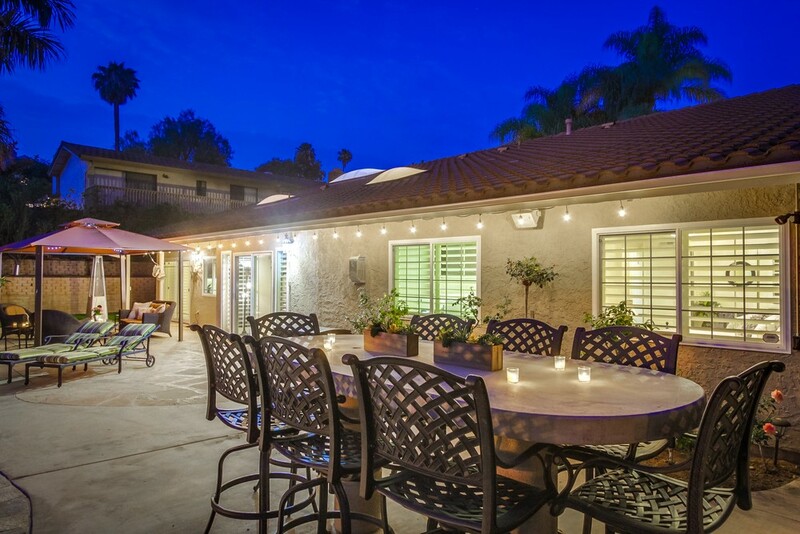 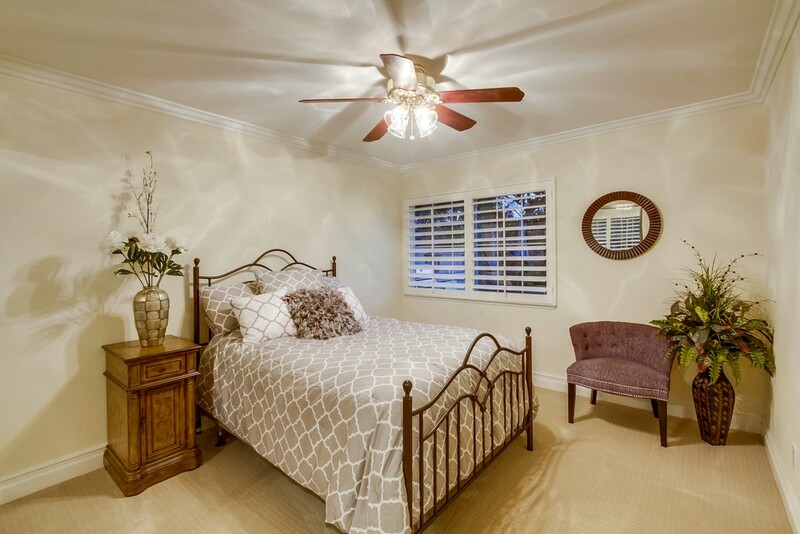 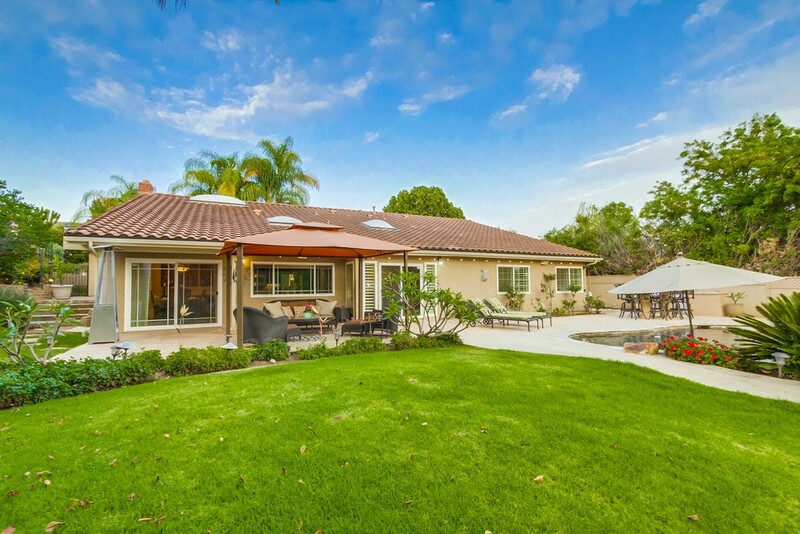 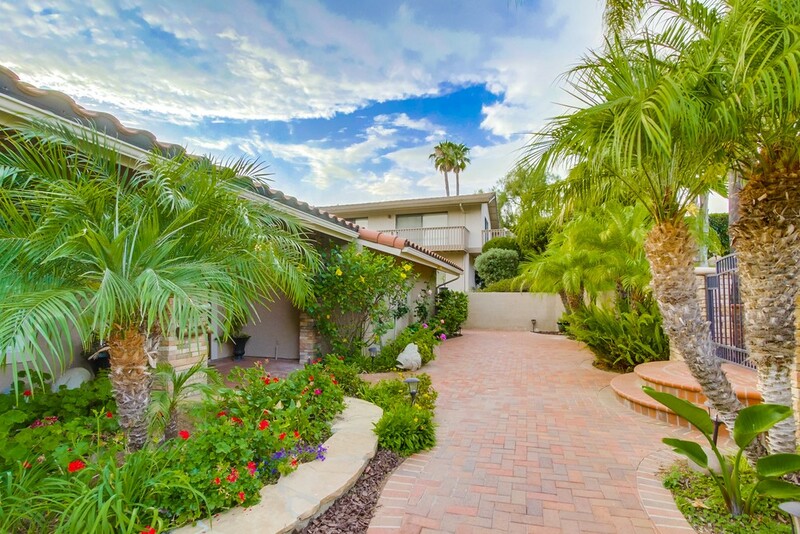 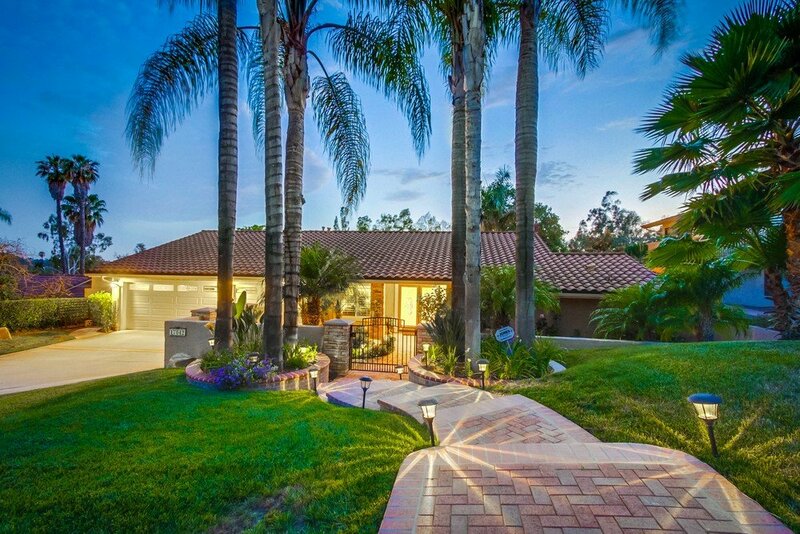 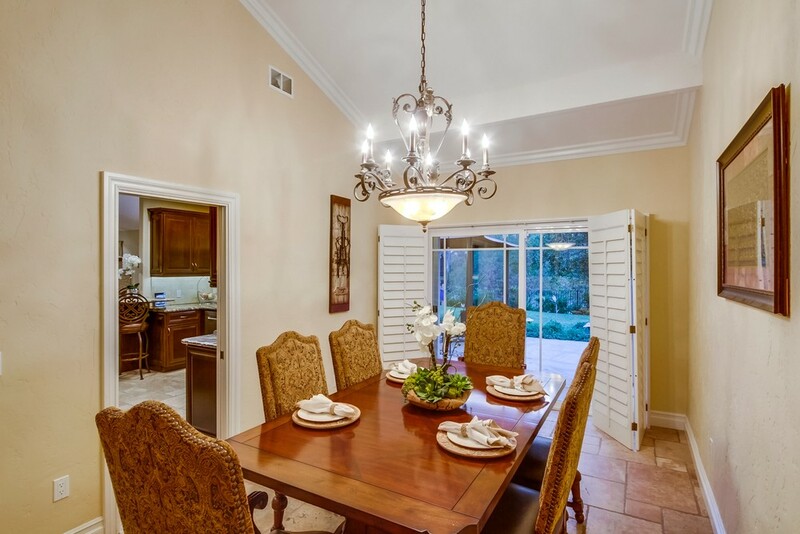 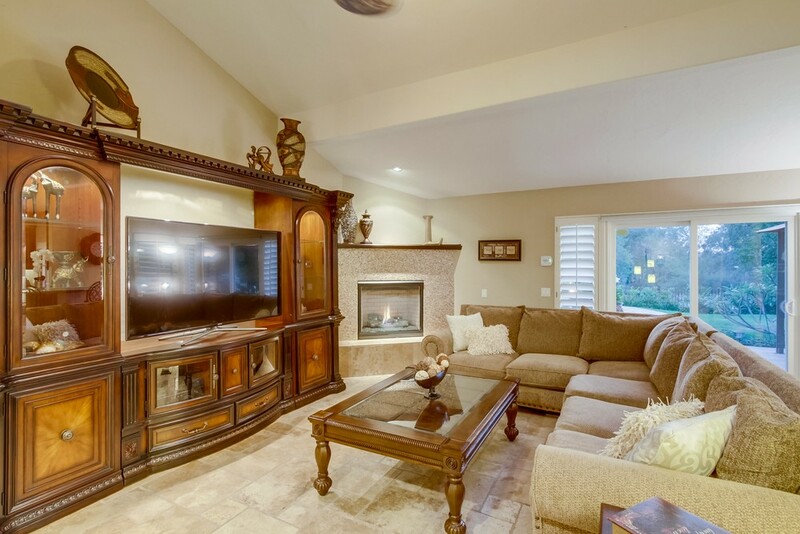 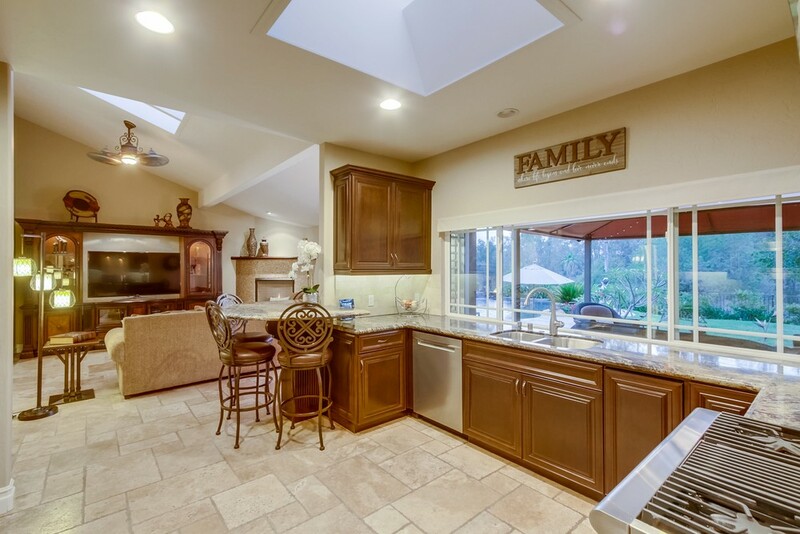 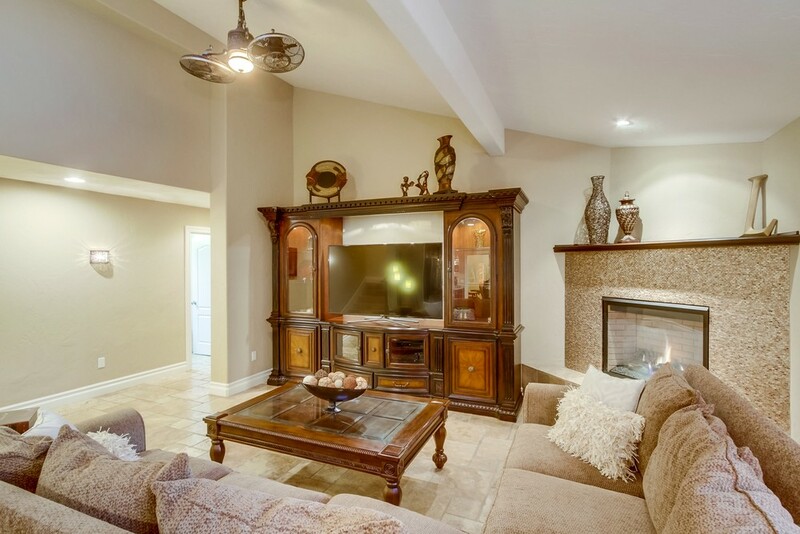 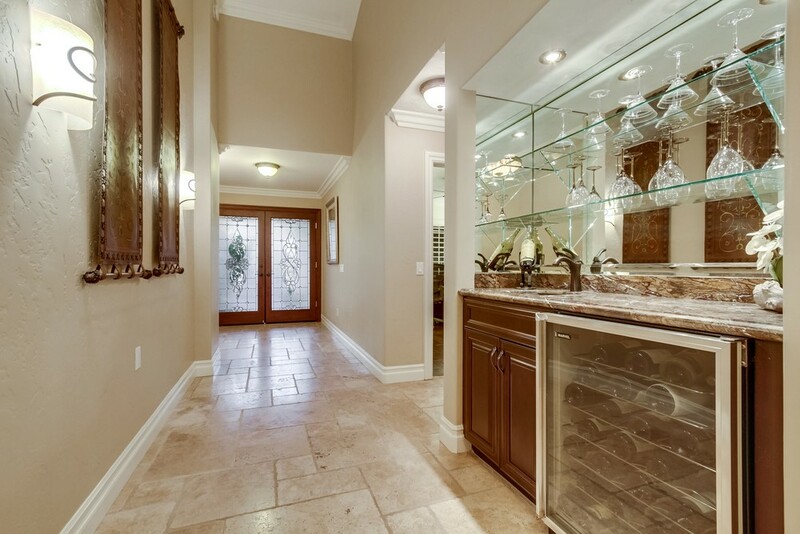 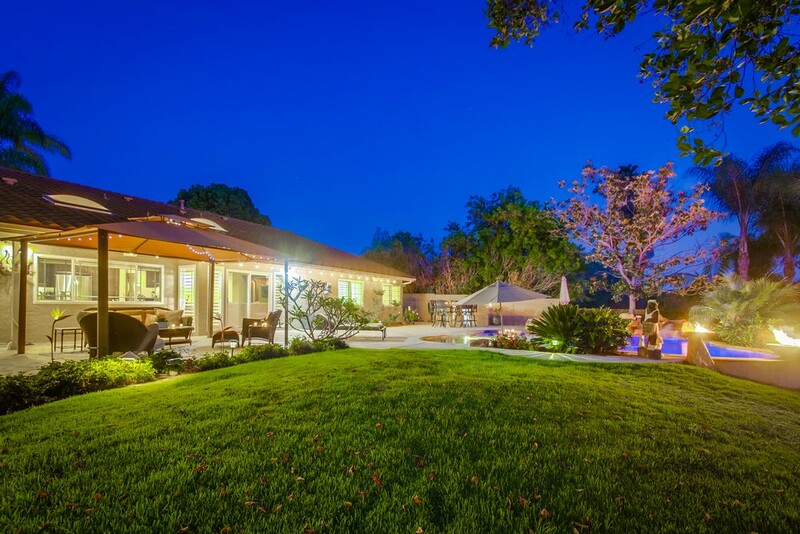 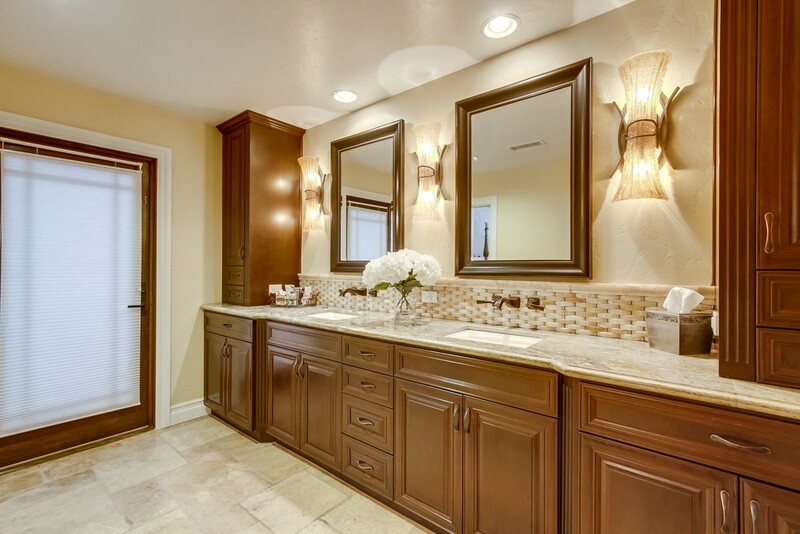 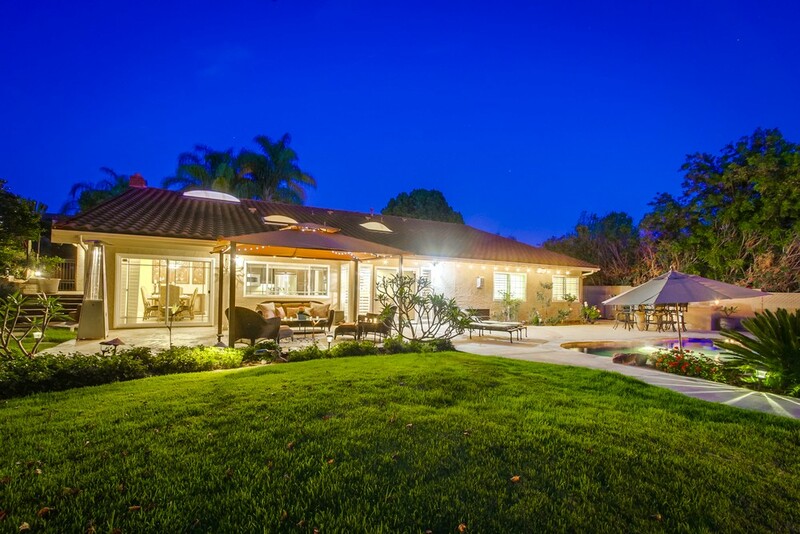 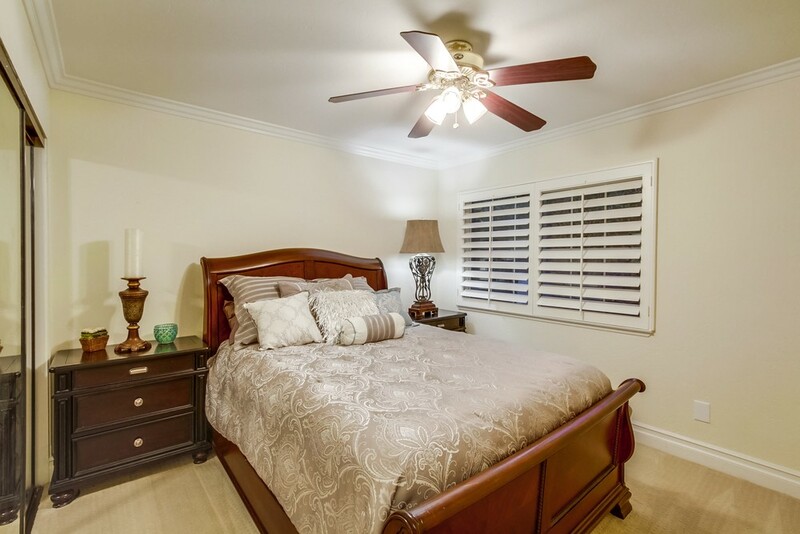 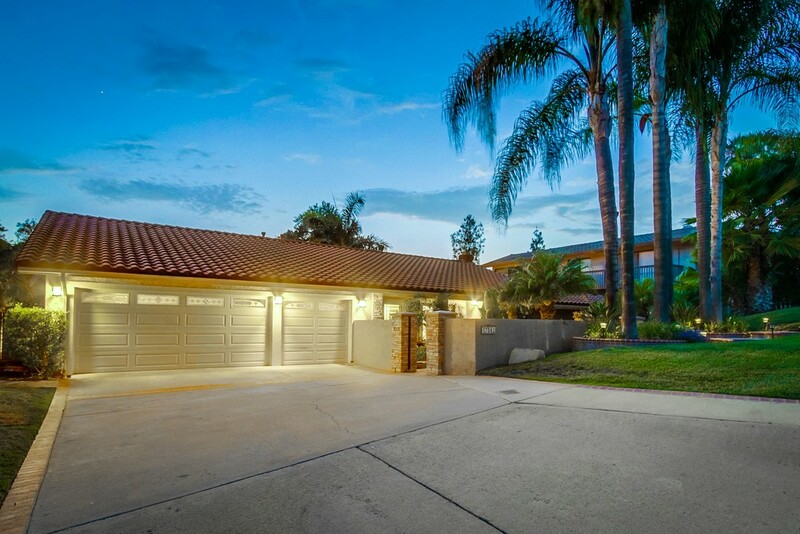 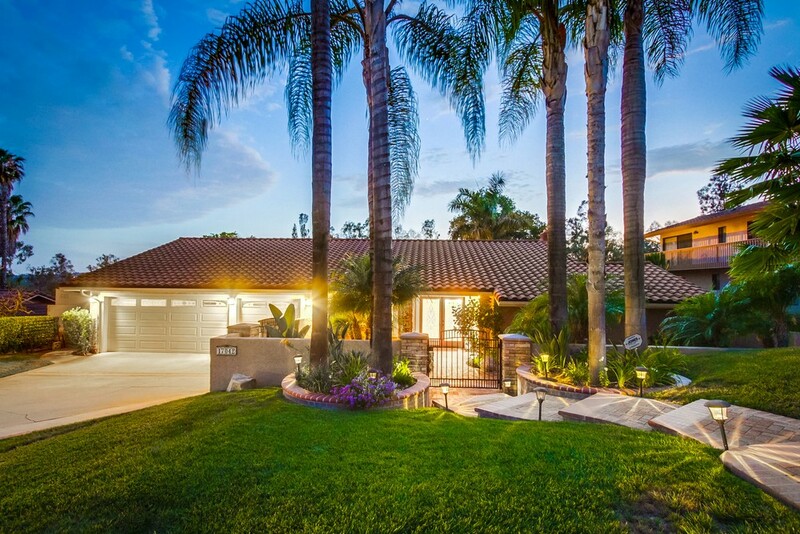 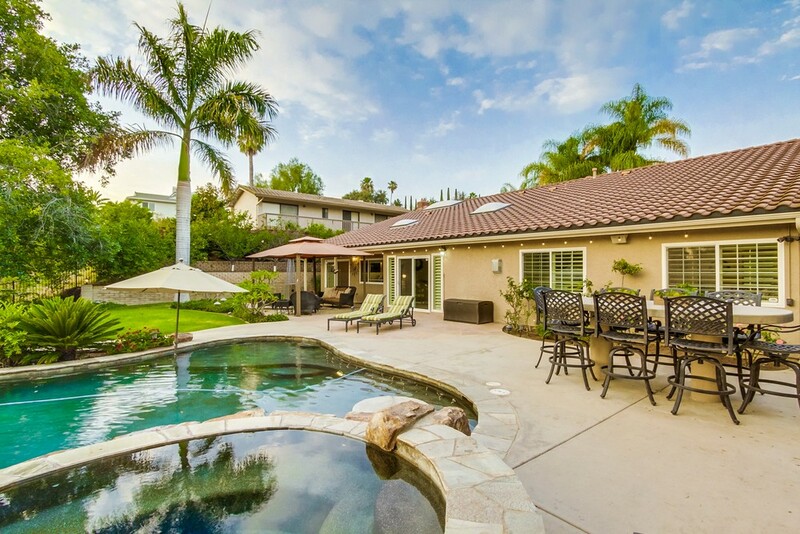 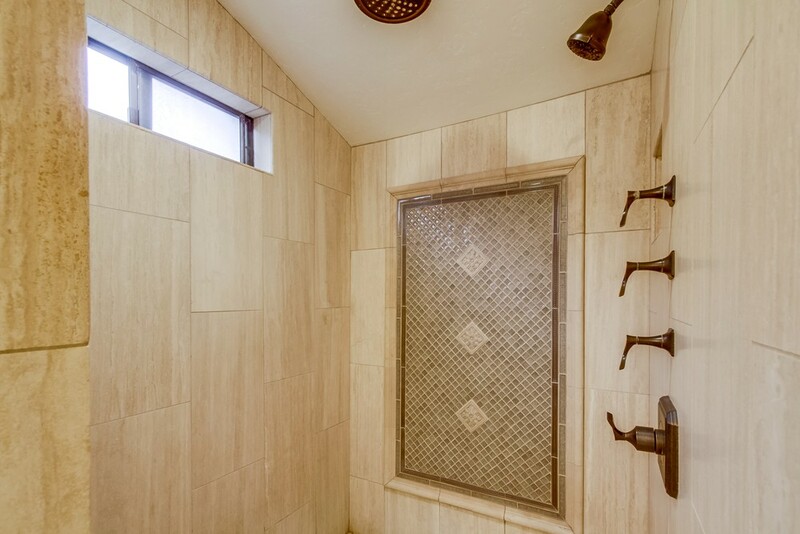 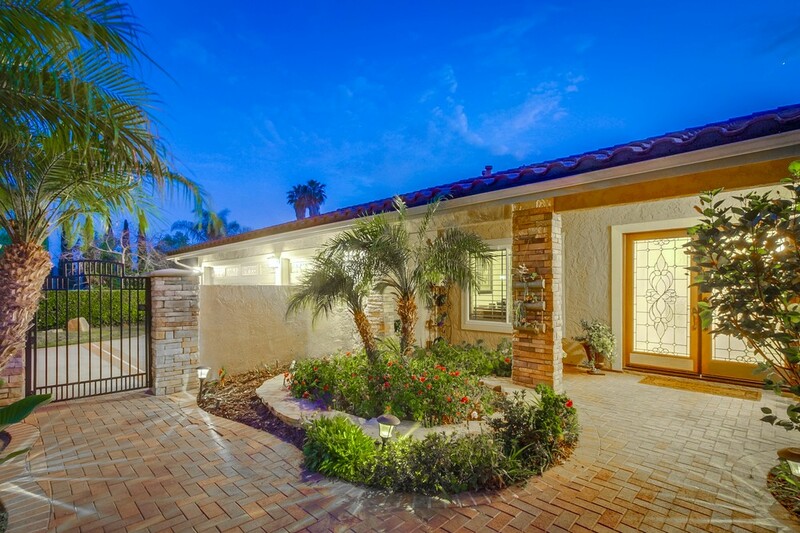 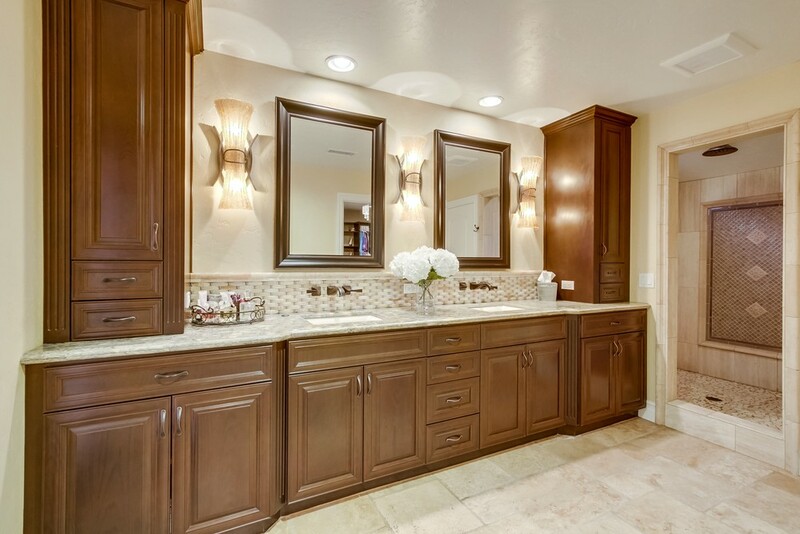 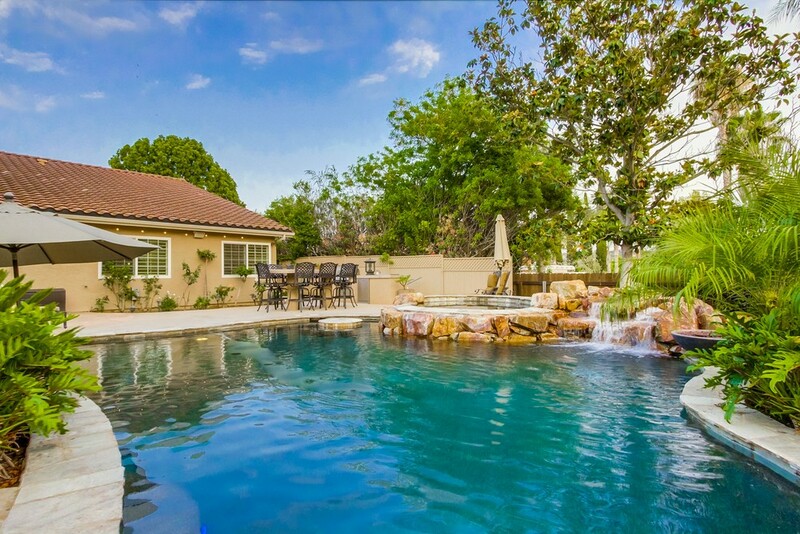 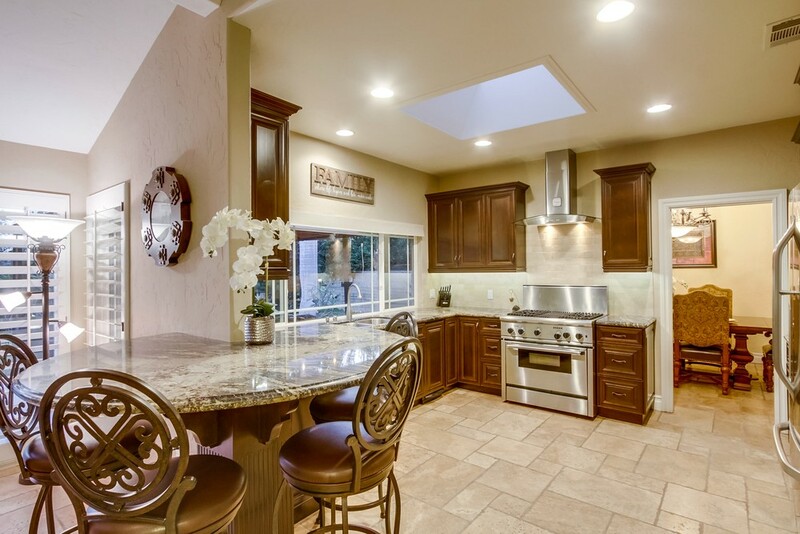 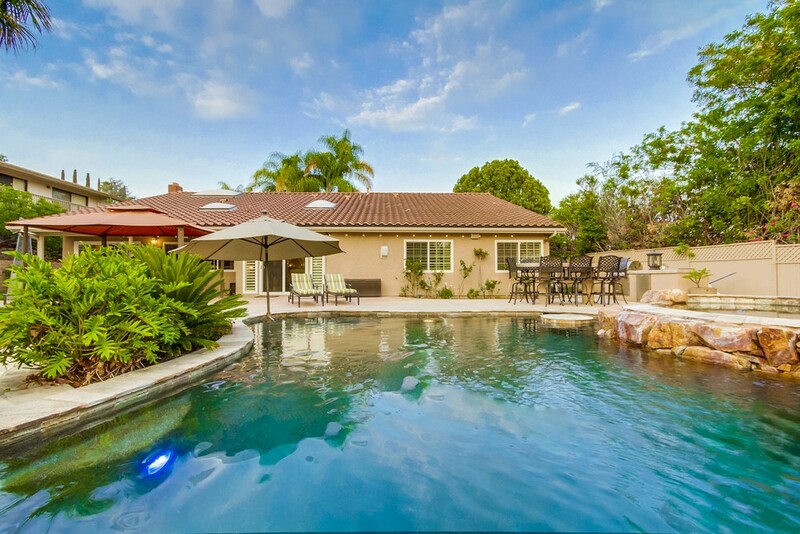 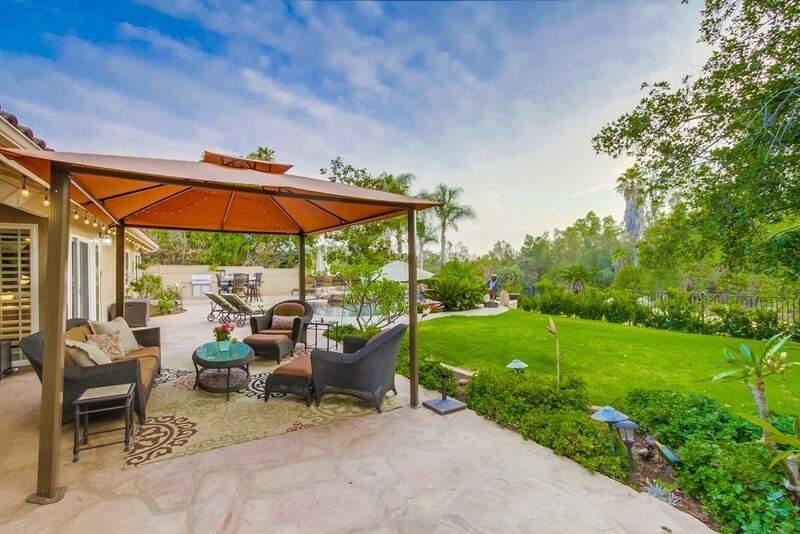 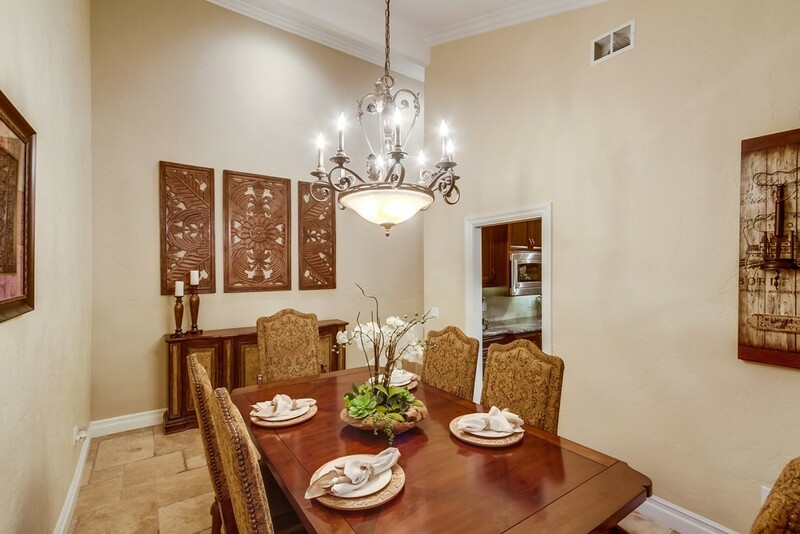 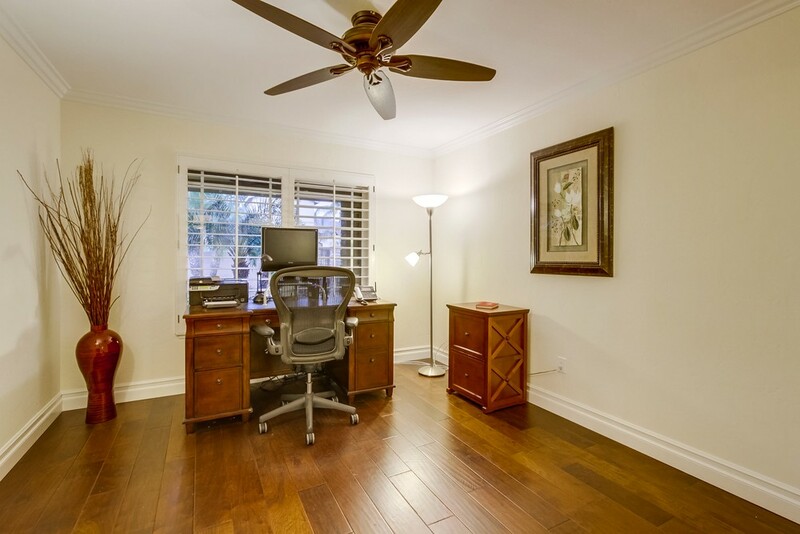 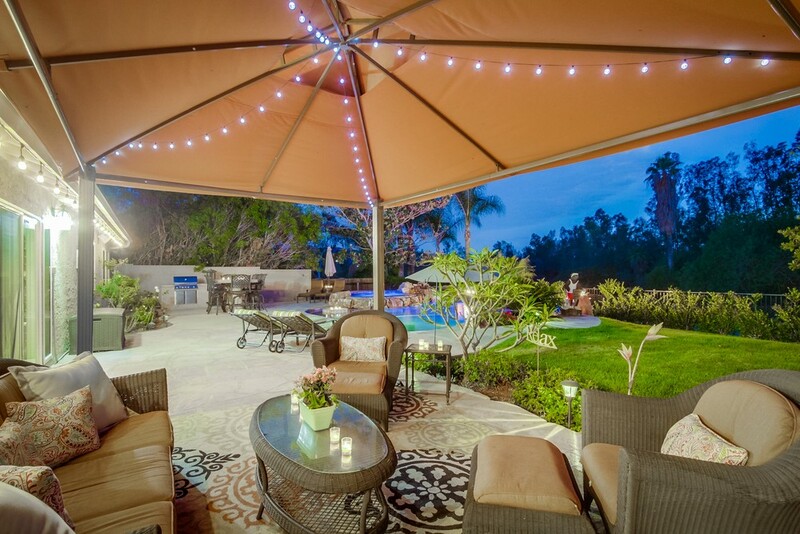 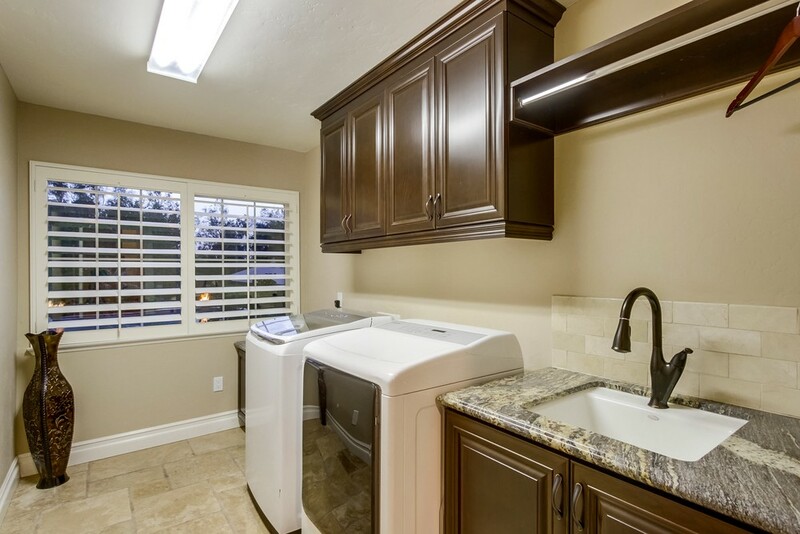 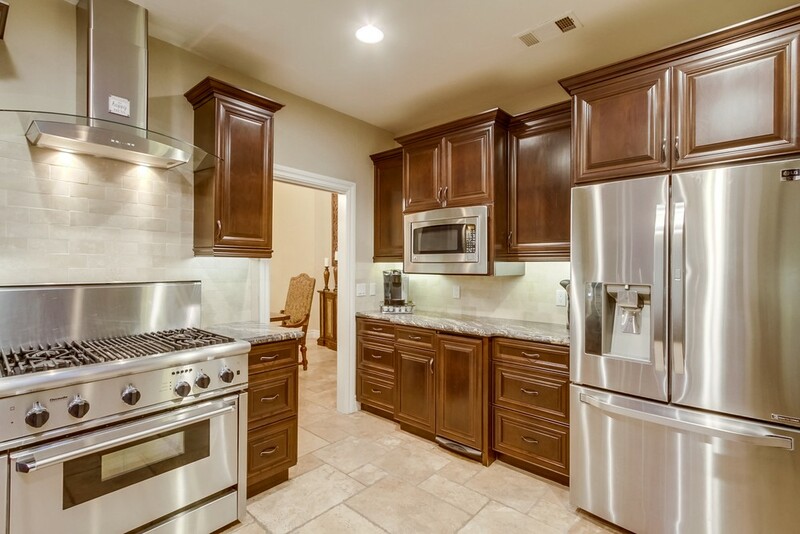 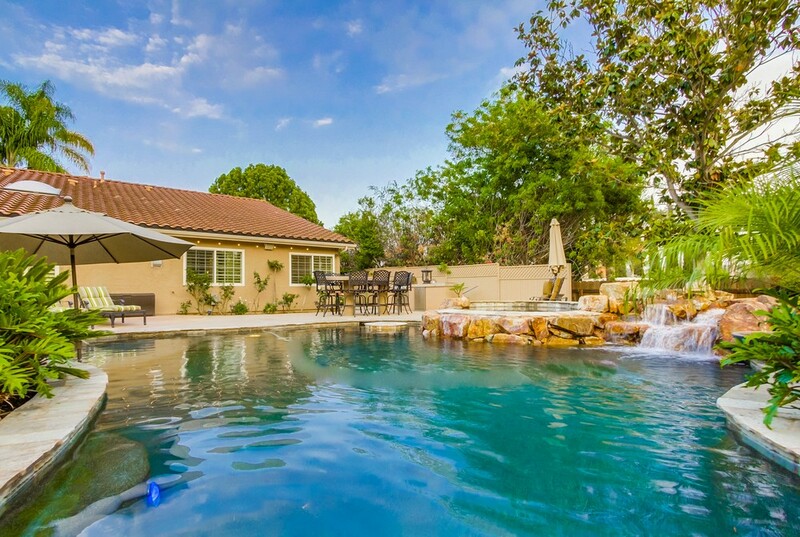 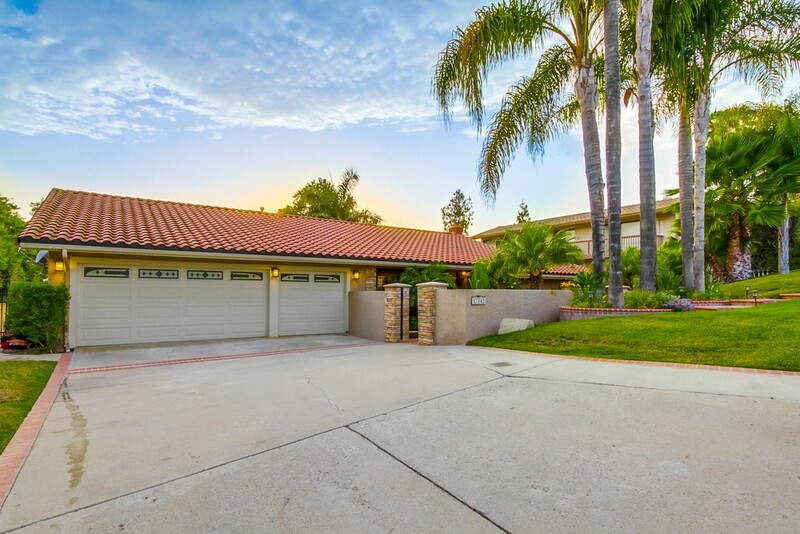 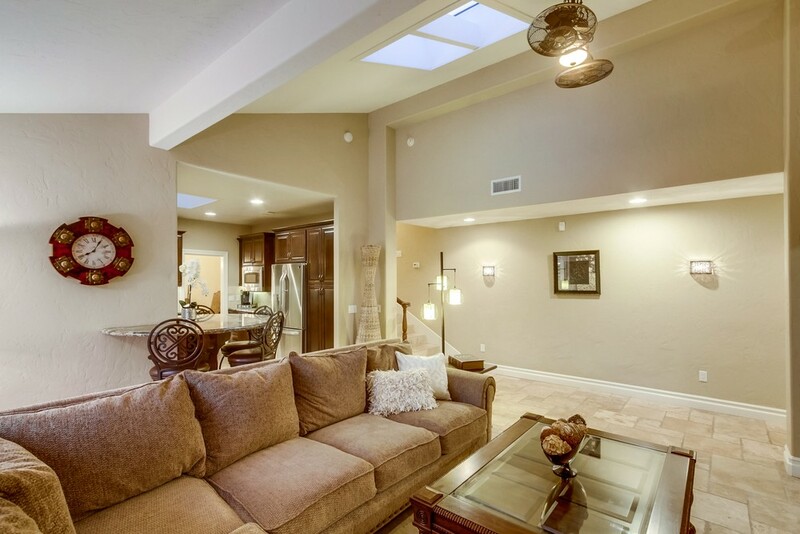 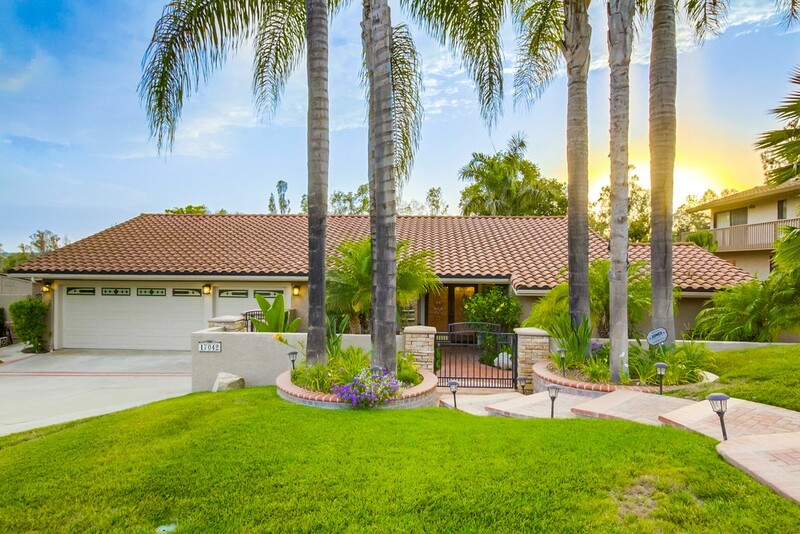 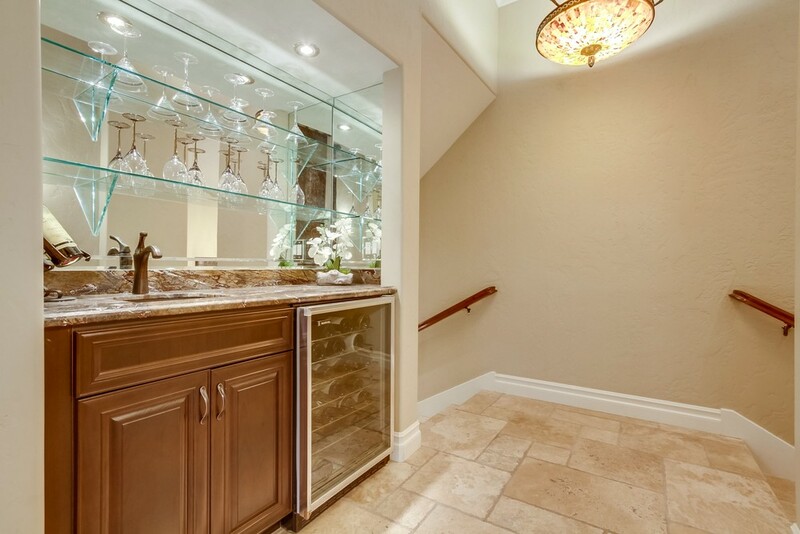 Fabulous, private highly upgraded bi-level home in North Poway. 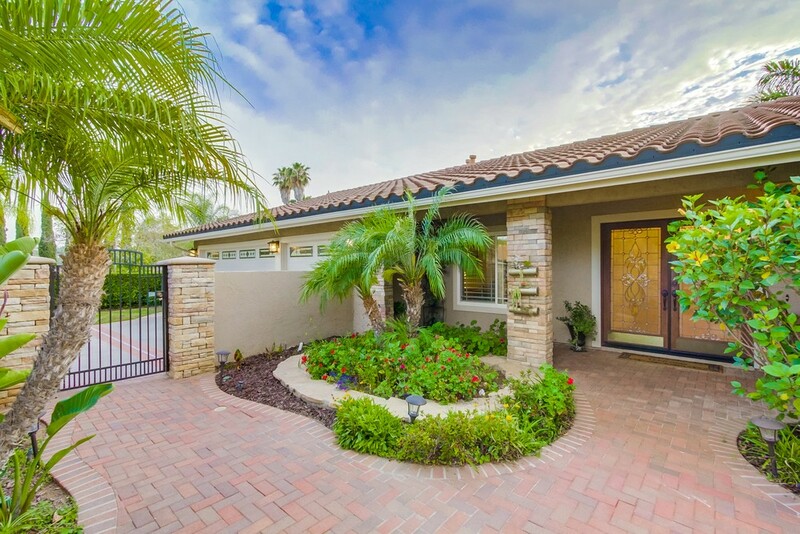 Fantastic home for entertaining and move in ready featuring gated brick front courtyard, Travertine flooring, gourmet kitchen, stainless steel appliances. 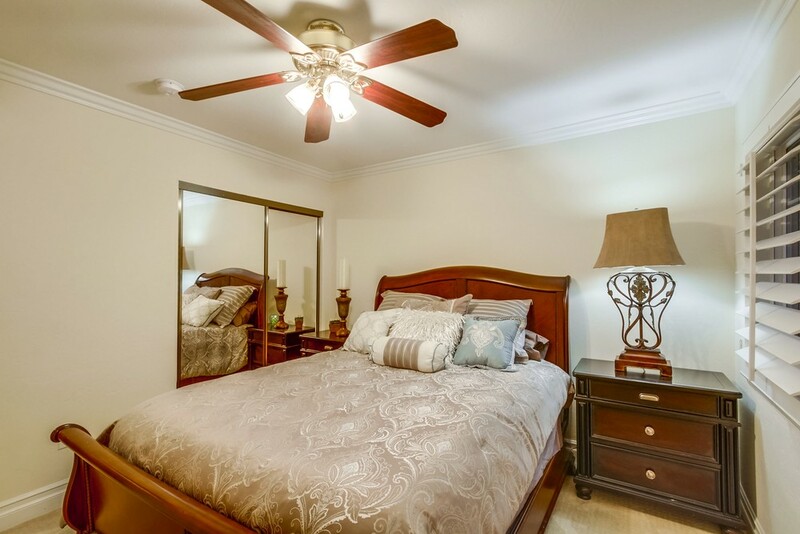 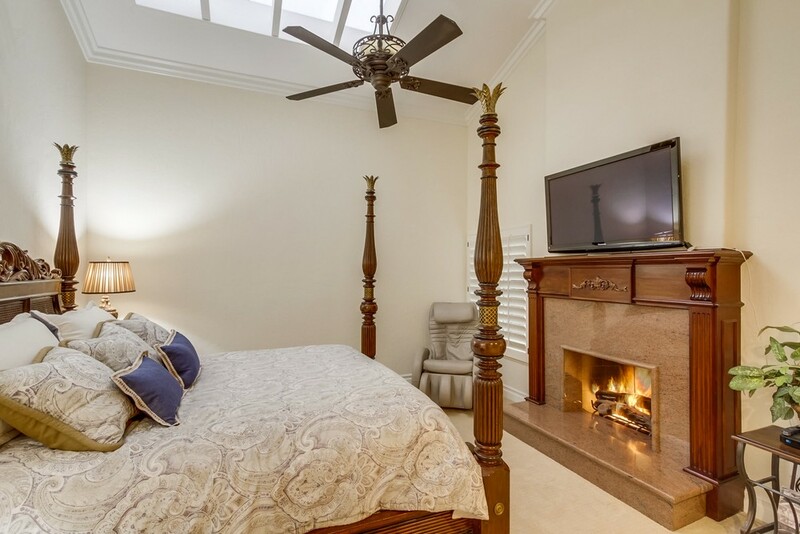 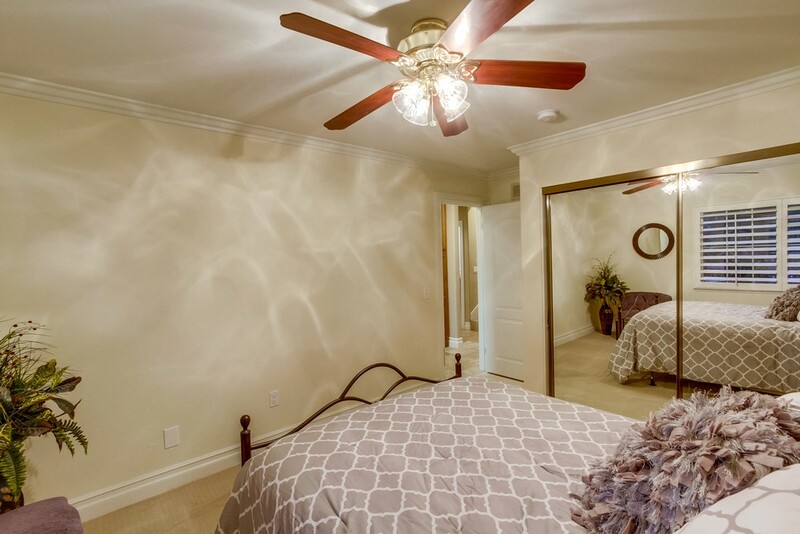 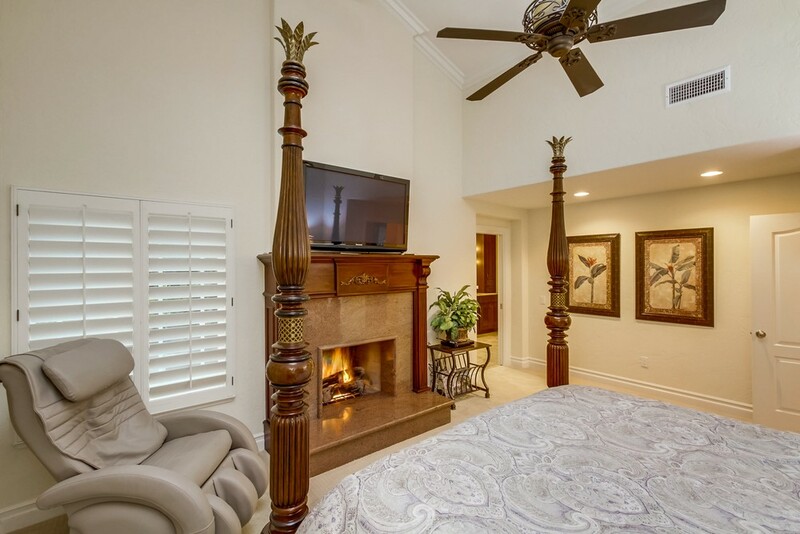 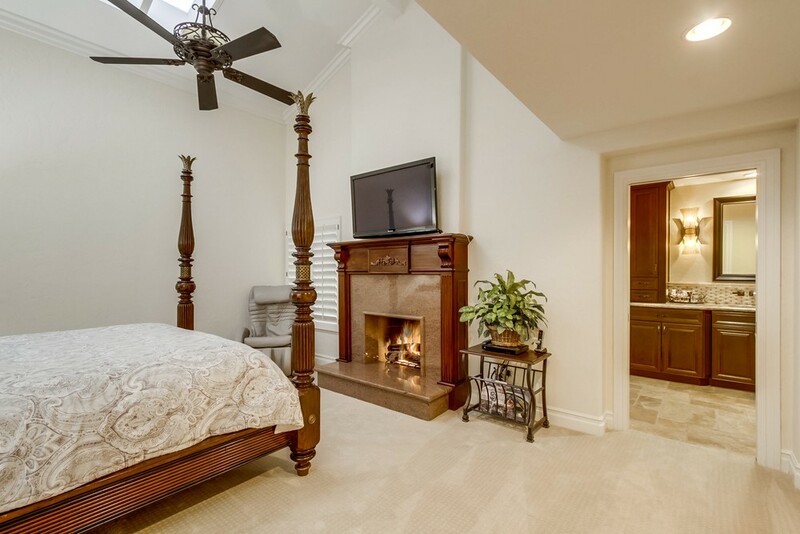 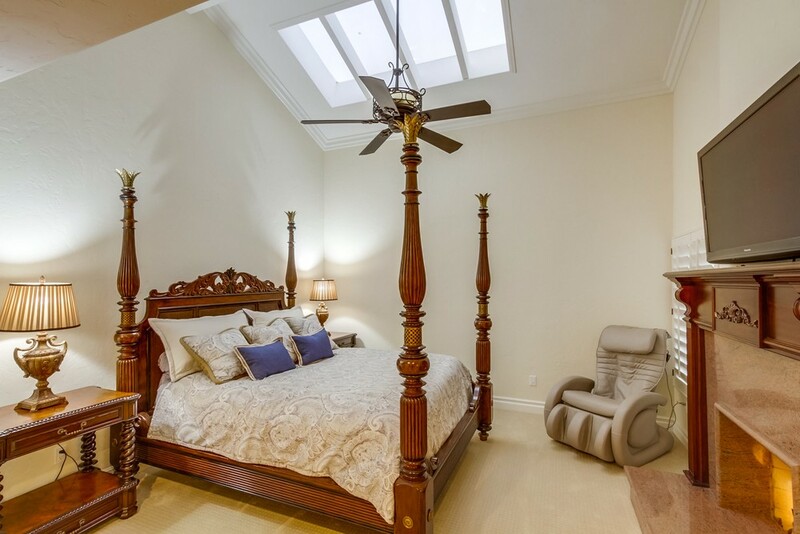 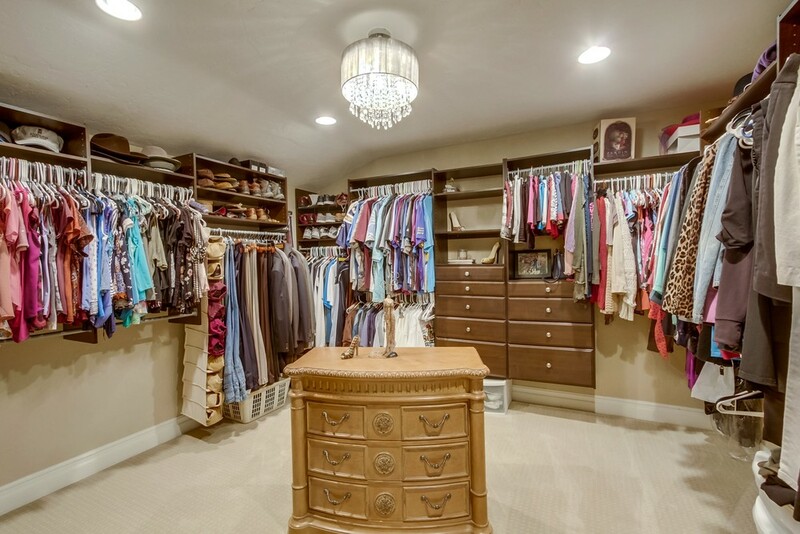 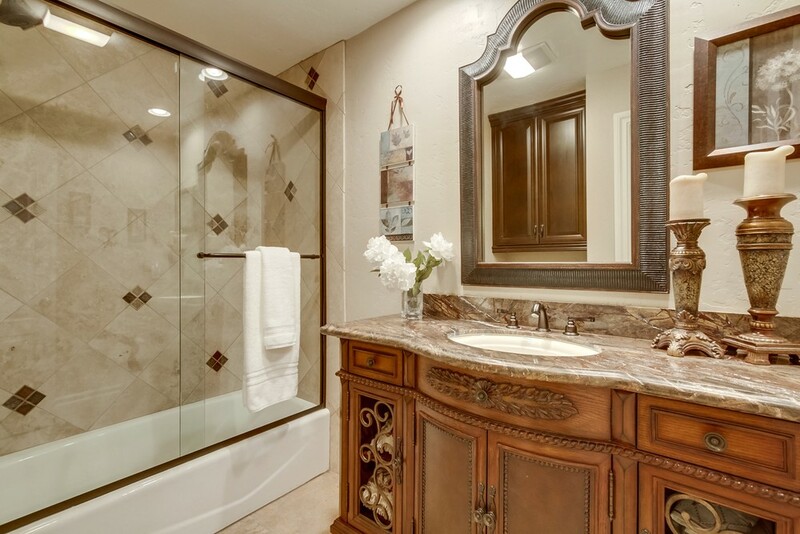 Luxurious master bedroom suite w/fireplace, skylights and over-sized walk-in closet. 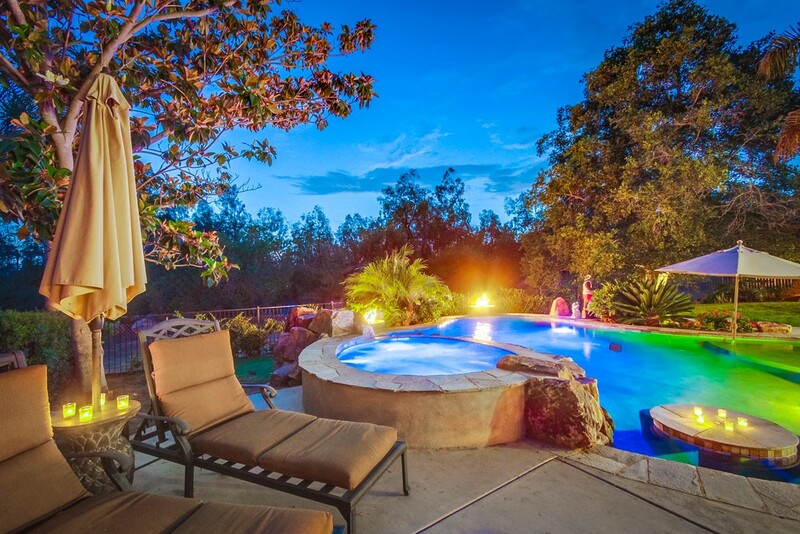 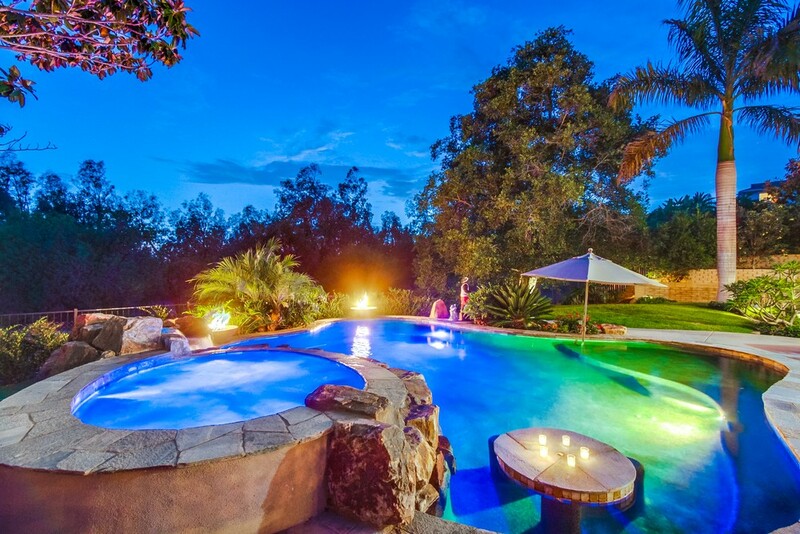 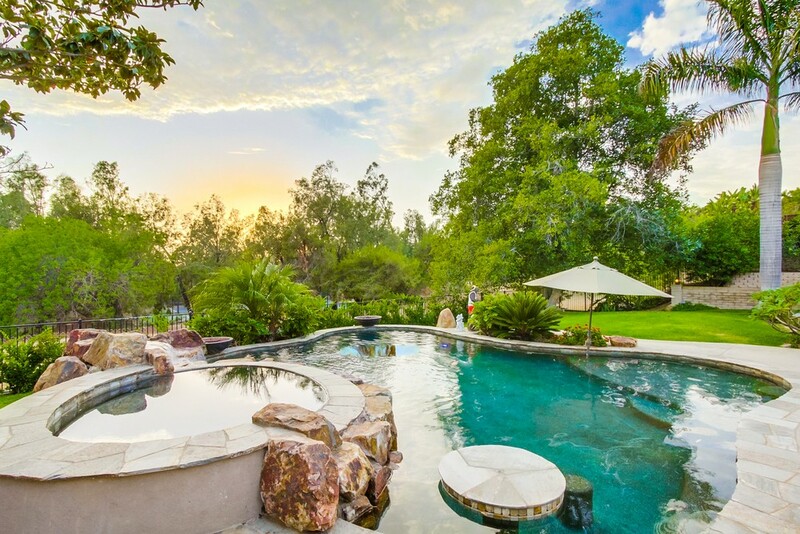 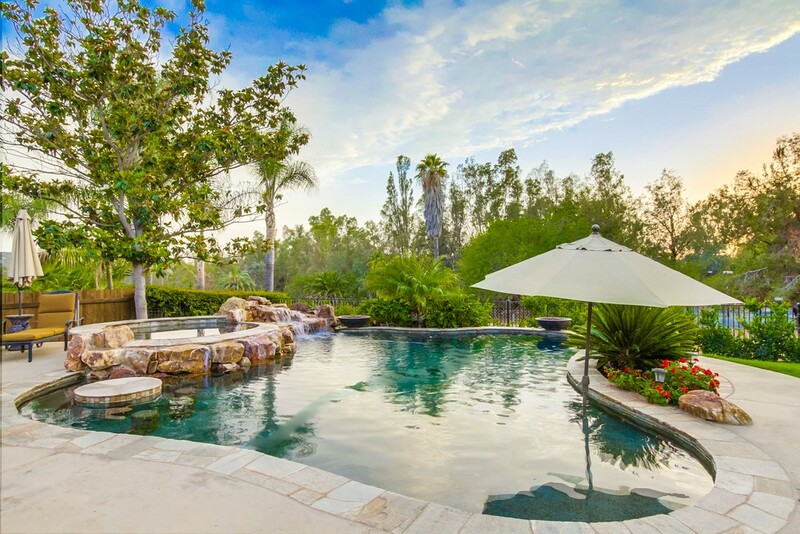 Private backyard with sunset views, built in BBQ and bar height concrete table, pool/spa with rock waterfall and 2 gas fire bowls and swim up bar. 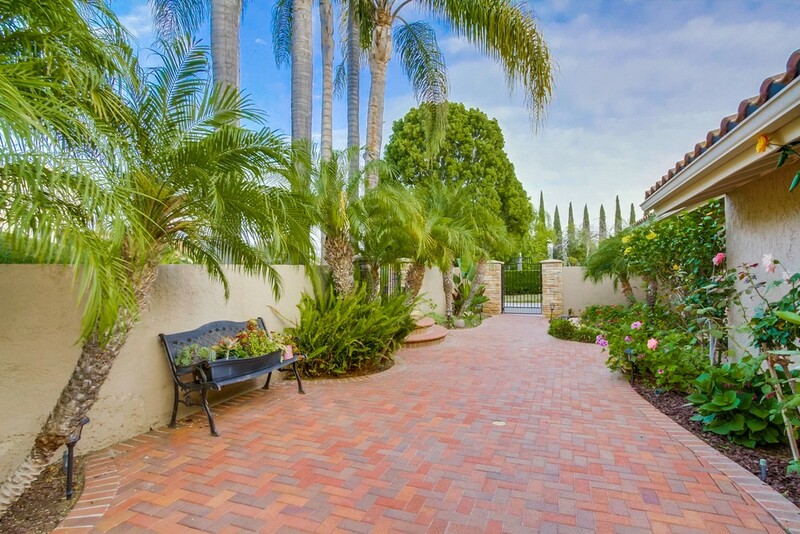 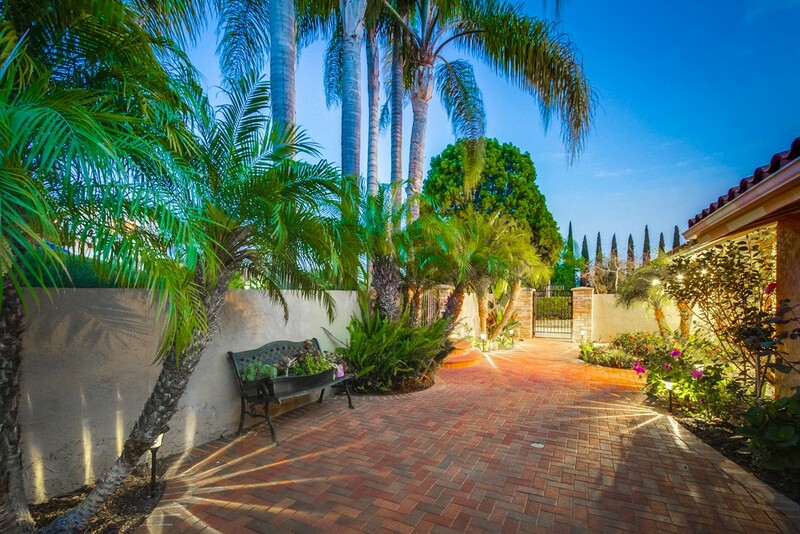 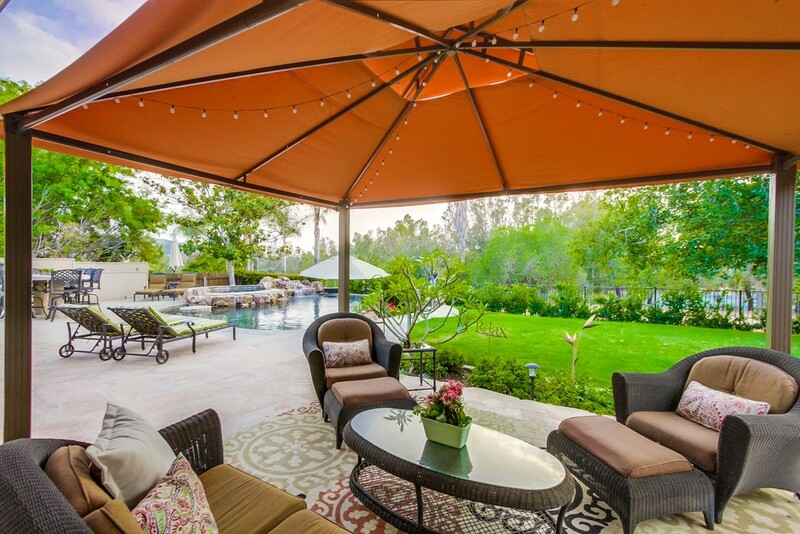 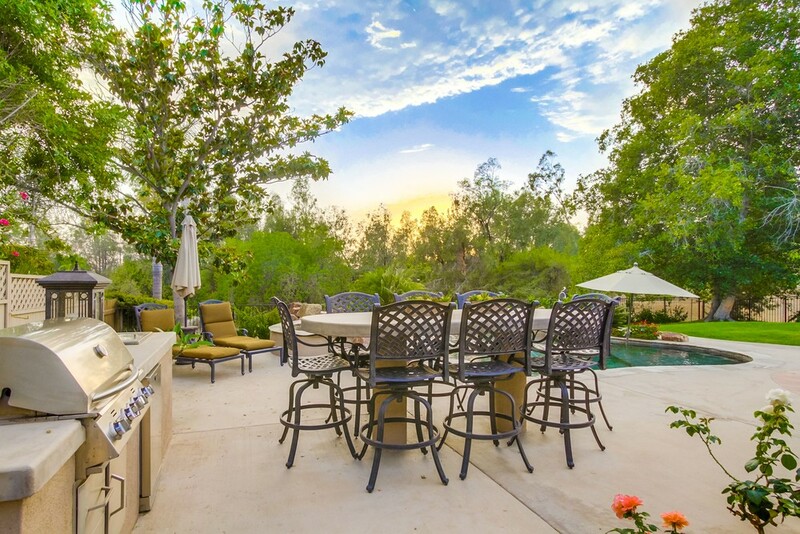 Spacious patio, rose garden, fruit trees & 3 car garage.